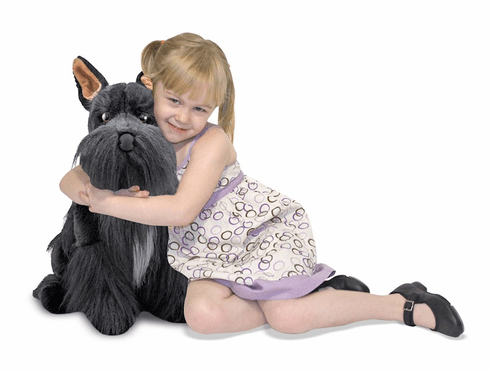 This Miniature Schnauzer is practically irresistible. With excellent quality construction and attention to lifelike details, such as its perky pink-lined ears and a long, droopy "mustache", this dog is content to collect hugs all day. Measures 19" x 10.7" x 5.7".